The Supreme Court, on 9 December, emphasised the urgent need to control the growing air pollution in Delhi and talked about exploring various options of tackling the problem. Among others, the SC is mulling over a ban on diesel cars on Delhi streets and prohibiting the entry of trucks in the Capital as well. The bench, headed by Chief Justice TS Thakur and Justice R Banumathi, asked the central and state government to coordinate with each other to solve the problem. According to a Times of India report, the court directed them to prepare a mutually agreeable common minimum programme. Pollution levels inside the court room have also gone up 10 times, the bench announced in shock. The Delhi government has already decided to implement the odd-even vehicle formula from 1 January , 2016, according to which odd and even numbered private vehicles will only be allowed to ply on Delhi streets on alternate days. However, the court asserted that there was a need to opt for a 'multi-pronged' approach and the odd-even formula alone was not sufficient to tackle the crisis situation. 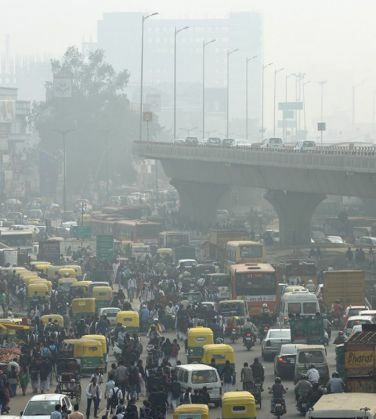 The bench expressed its concern over the fact that Delhi is termed the most polluted city in the world. Harish Salve, a senior advocate, told the court that there was a need to limit the registration of diesel-run vehicles as they cause maximum pollution. The bench agreed upon this fact and said that it would consider banning diesel cars if needed. A report in The Guardian on October 2015 claimed that modern diesel cars emitted more toxic pollution in comparison to a bus or heavy truck.